Making custom and cute shirts for my girls is not only fun, but a great way to use up vinyl scraps and dress up plain shirts they don’t wear. 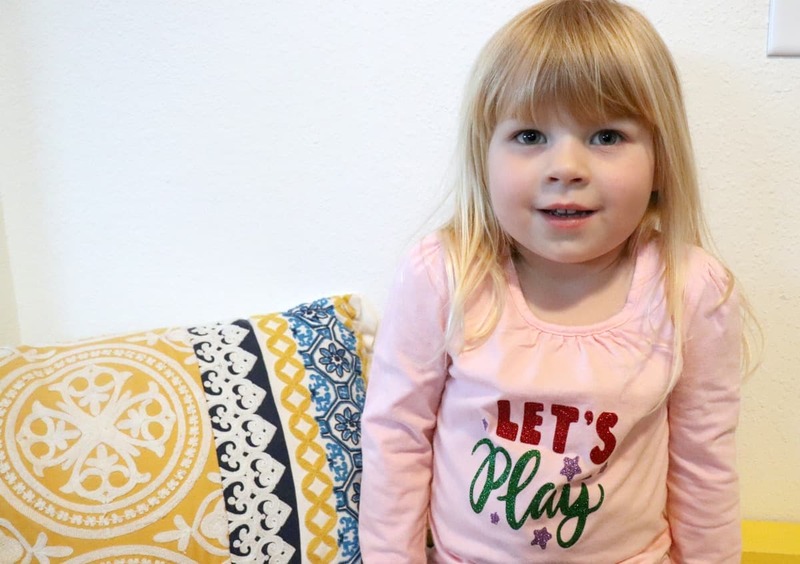 Today I’m sharing some tips for using glitter heat transfer vinyl along with 2 shirts I made that have quickly become my daughter’s favorites. I do a lot of cutting and crafting with my Silhouette. It’s on my table next to my computer and gets used almost as often. When cutting anything from fabric to vinyl or paper I save my scraps. They are organized in magazine files on a shelf and I always reach for the scraps first when I start a new project. Craft supplies can be expensive and I never know when inspiration might strike, hanging onto those extra pieces has resulted in quite a few beautiful projects. 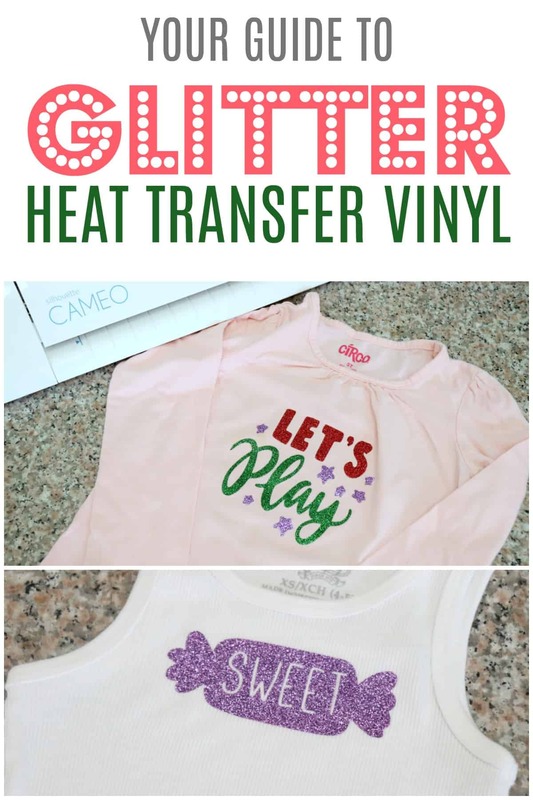 These glitter heat transfer vinyl shrits were inspired by a graphics bundle I recently purchased. I found 2 I really liked and knew I had to put them on shirts for my youngest daughter. I immediately headed for my scrap vinyl bin and found purple green and red scraps of glitter heat transfer vinyl. Then I found 2 plain shirts in her drawer that she rarely wears, she prefers to have fun and bold clothes. 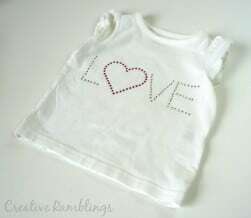 Here are the supplies I used to make these shirts, these links are to my favorite go to products. Mirror your image! You will cut any heat transfer vinyl from the back side so MUST mirror your image. I have made this mistake multiple times. Use the recommended cut settings in your Silhouette, then do a few test cuts to make sure they work. I always double cut, and if my blade is a little dull I may even cut a third time just to be sure I have clean edges. Use a hot iron and apply firm pressure for 10-15 seconds, then peel off the protective plastic while it’s still warm. Once your shirt is complete and all pieces are in place, go over it without a towel for a few seconds to ensure a good stick. 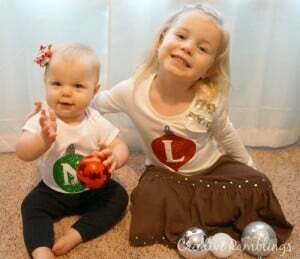 My kids love these fun custom shirts. You can find more Silhouette clothing ideas below. Tell me about your recent Silhouette projects.